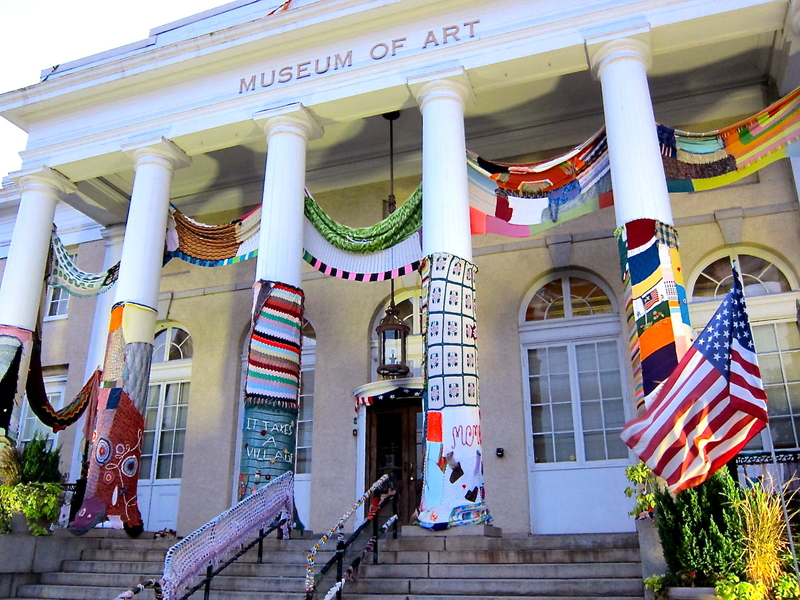 Ever since H and I got a sneak preview, I’ve been waiting to get a glimpse of The Yarn Bomb, an outdoor community art installation at the Marietta Cobb Museum of Art. 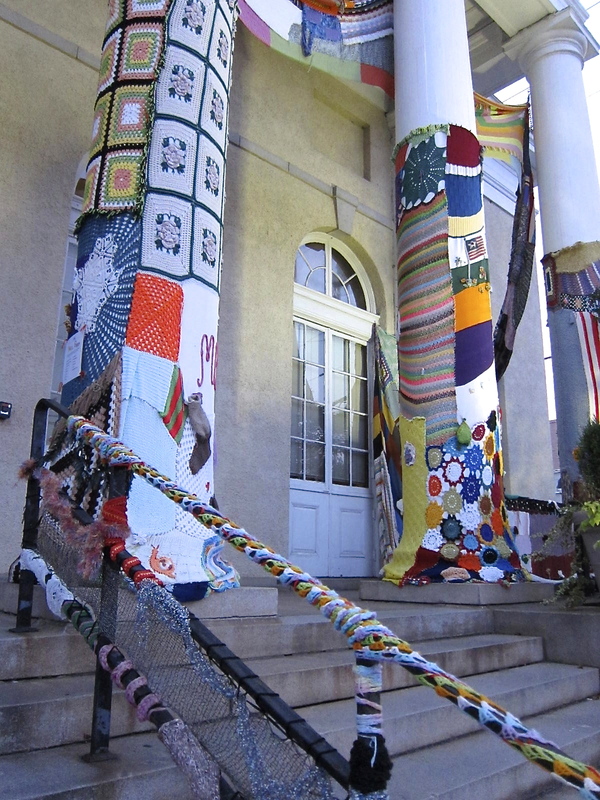 Contributors from as far away at China donated works of knitted and crocheted materials, which were then sewn together into larger sections to dress the building. 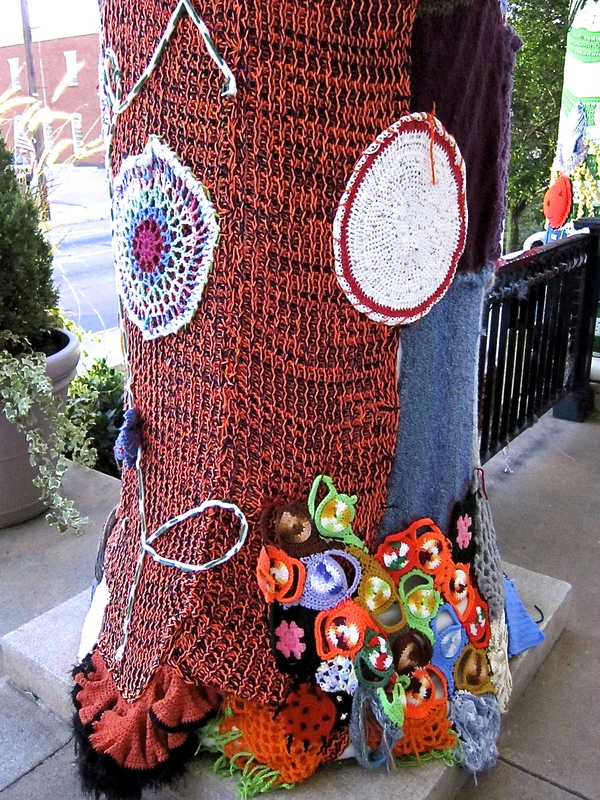 It was a fascinating exercise in color and texture. I love when ppl do this! It’s the coolest graffiti that’s existed in a long time. Thanks for checking out my blog! I have to agree — it’s pretty darn cool. I’ve never seen something like this in person, so I was stunned by all the textures and colors. I didn’t know where to look first. I just stood and grinned! It was great!